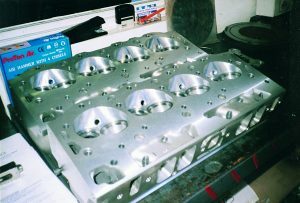 We are able to provide a complete Engine Reconditioning Service including complete assembled engines to individually machined items as boring honing cylinder head reconditioning as listed in our services available below. All our Assembled Engines and cylinder heads come with a 12 month Australia Wide Warranty for personal use. All Marine Engines come with Australian Standard 3 month Warranty Period. Our highly trained staff and our large fully equipped modern workshop allow us to perform a variety of jobs at a high quality standard at a competitive price with a good turnaround time.